"Platinum is the best!! The girls came out to get me, my bridesmaids, mom and mother in law ready for my big day! Every girl loved their hair. All of the up dos/ hair dos were totally different and gorgeous! On top of that they were efficient with time and made the day so enjoyable! Best part of all the hair stayed perfect the entire day and night! " This was the most amazing haircut and color I have ever received! I would 100% recommend this place to anyone looking for a good hair salon. Everyone was super nice and it was such a friendly and positive enviornment. THey were able to do exactly what I wanted and I've never gotten that at any other hair salon before." 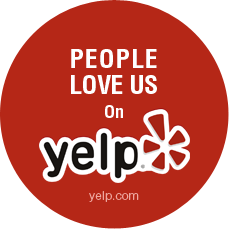 "I had a wonderful experience at this salon! I have very long, thick hair, and I currently have the ombre' look. I wanted to keep the ombre' but make it more fall/winter appropriate. My hairstylist, Candace, really did a nice job coloring my base, as well as darkening the lighter pieces, but not losing that contrast. I was very pleased. For a while now, I have wanted lots of layers in my hair. Since my hair is long and thick it has the tendency to kind of hang. Candace gave me one of the best haircuts that I've ever had in my life! My hair has so much bounce, and it feels so healthy, and just in general looks great. (Literally, all day I kept feeling my hair and looking in the mirror at it.... I can't remember the last time that this has happened. I HIGHLY recommend this salon!!" "Love this salon! I'm from NY orginally and was beginning to think I'd never find a good salon in the Philly area. I tried 3 top salons downtown, and 5 others in the NW philly area, until I stumbled upon this gem. My hair is challenging because it's relatively thick, wavy, prone to frizz, and probably about 50% gray at this point. Terry listened to my hair issues and gave me an expert cut and recommended the best products that actually work!!! My hair dries faster (related to the products I use) and looks smoother and healthier than it has in years. I no longer hate my hair and get complimented regularly. 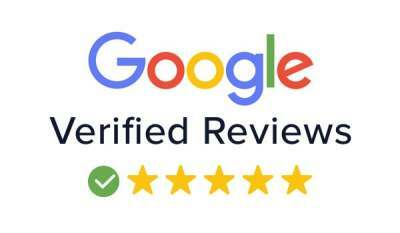 I found the staff to be very fun and personable as well; no pretentiousness like you can get downtown, and the prices are much more reasonable too. Definitely give this place a try!" "I went to this salon for the first time, after my hair was severly messed up by a student at a beauty school. Lauren fixed my color and made my hair look much healthier! Everyone there was extremely nice and helpful! Definitely a relief, considering I thought I was stuck with an awful color! I would definitely recommend this salon to friends/family!" "I just moved to the area and needed another new hair salon...this place is great!!! Everyone is so friendly first of all and they really make an effort to get you an appointment as soon as possible. I had Terry, she was wonderful! I showed her what I wanted and exceeded my expectations. It wasn't an outrageous price either! I already have another appointment scheduled :) can't wait to go back!! Thank you Terry!" "You cannot go wrong with Platinum! Every stylist there is simply the best! I've never had the pleasure of working with several different stylists here and everyone has been great!! From the moment you walk in to the moment you leave, you are treated to the highest level of professionalism and customer service. You Immediately feel like part of the Platinum Family! I've been going to Platinum for almost 5 years and I thank the Lord that I found them!!" "Shout out to Allen for helping me figure out what I wanted, since I can never seem to figure it out on my own. 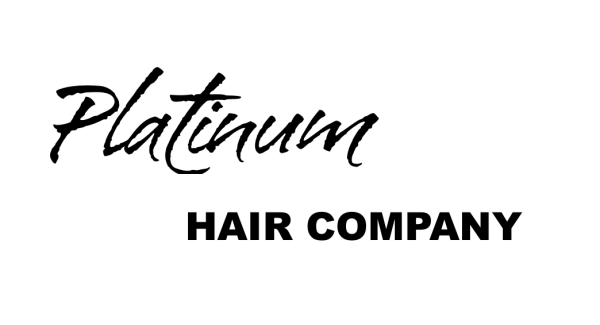 Thank you all for the excellence that is Platinum Hair Company!" "First time getting my hair color and cut there and my hair looks amazing I brought a picture in and Joanie did it exactly like the picture (amazing), she was very professional and personal I couldn't ask for a better person, also love the atmosphere, Joanie did an amazing job on my hair, the salon is lucky to have her, she is 5 stars thanks again Joanie!" ""I have had the good fortune of going to Platinum since it opened. I've been to a couple of different stylists there as they support making that change. I was embarrassed at first thought it happened due to a pregnancy and unavailability, but the owner made sure I knew that was fine. I have enjoyed each of my stylists for different reasons: Joanie is who I moved there with, then I went to Mel, and now I go to Jess Marie. It is nice that when you want a change...as nothing negative has happened yoi just want a change..that it is OK. I still like each of them and recommend them highly. IT is a great environment...really beautiful especially in the new location!" "I am so happy with my service from Platinum. I've been a hair-nomad for years now, bouncing from one stylist to the next, not entirely happy with anyone in particular. My stylist, Nicole, has earned my loyalty, really understanding my long half-curly hair. I stop in every 4-6 weeks to get my bangs trimmed as well and it's always easy to get in and out." "I have gone to this salon a few times just for regular visits and I decided to use them for my hair and makeup for my wedding day. The owner of the salon, Christine, is really nice as well as all the stylists that work there too. I couldn't have asked for better makeup or hair for my wedding day. Lauren did my mothers and my makeup and she did a wonderful job and made me look exactly how i wanted! Nichole did my hair and she also did a wonderful job and styled my hair exactly how I wanted. My mother got her hair cut and styled by Jess and she also did a wonderful job. The owner of this salon offers her stylists workshops and advanced training a lot, so they are always up to date with the latest techniques, and for the most part they all have a good ear for hearing your vision in giving you what you ask for. All in all, I am glad I chose them for my wedding day. They all did a fantastic job." "The stylists at Platinum were wonderful to work with and very talented. We had out hair and makeup done by them. They were recommended to me and I would continue to recommend them. Jackie is excellent and easy to work with. She made me feel at ease and very comfortable. They did a great job on my bridesmades as well."